Like today is his birthday. Happy 101st Birthday to the legend Ernest Borgnine! Borgnine enlisted in the Navy right after high school in 1935. He served the contracted four years before being honorably discharged in 1941. However, after the Pearl Harbor and the United States official entry into World War 2, Borgnine re-enlisted. He was stationed on the USS Sylph, where he would remain for the entirety of the war. Borgnine proved to be the model sailor and rose in rank from seaman to gunner’s mate first class. After a decade in service, Borgnine was honorably discharge in 1945. His military accolades include the Navy Good Conduct Medal, American Defense Service Medal with Fleet Clasp, American Campaign Medal and the World War II Victory Medal. Later in life he would receive the honorary title of chief petty officer from Master Chief Petty Officer of the Navy Terry D. Scott and served as the chairman of the National Salute to Hospitalized Veterans. 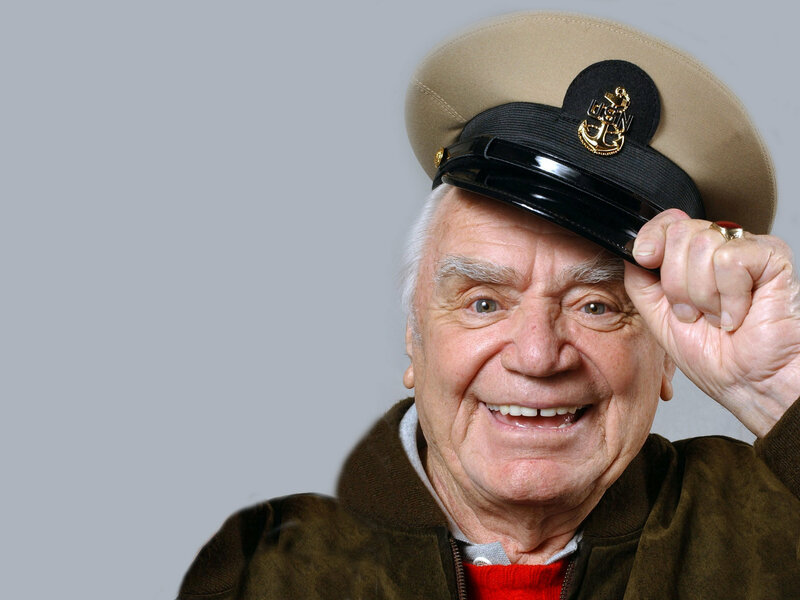 After the his service with the Navy during World War Two, Borgnine returned to civilian in New Haven, where he found work at a local factory. However, he found very little fulfillment in the blue-collar job, and was at a loss at what to do next. His mother soon suggested perhaps his strong presence and boisterous personality maybe suited for acting. He then used the newly created G.I Bill to attend he Randall School of Dramatic Art in Hartford and the rest is history. 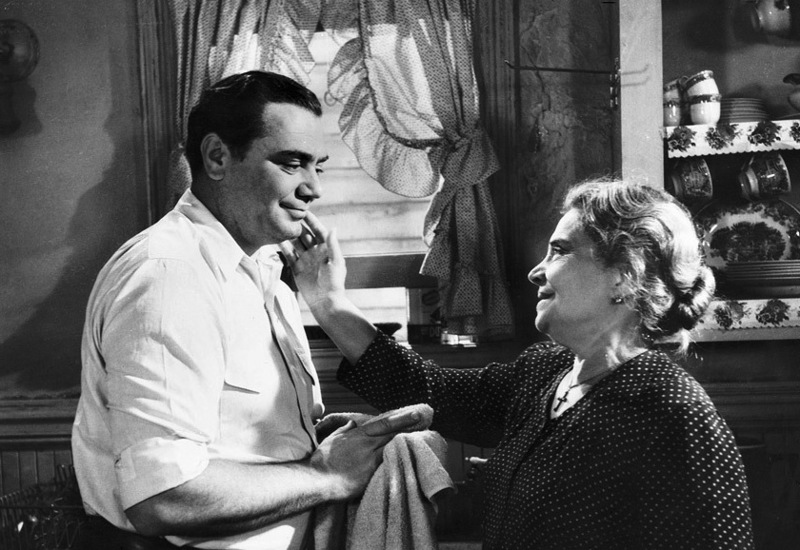 We all know Borgnine acted in some of the great classics like From Here to Eternity, Marty and The Wild Bunch. However, his resume has more films you’ve never heard of and never will hear of. This isn’t because he didn’t have the talent to keep working in great films. This is because he simply liked to work, no matter what the film, TV show or play. If an opportunity to work came his way, he would work. He was basically the very definition of a “working actor,” and worked until he died in 2012. During an interview with the Tonight Show in 1972, Johnny Carson asked Borgnine what he had left to do as an actor. 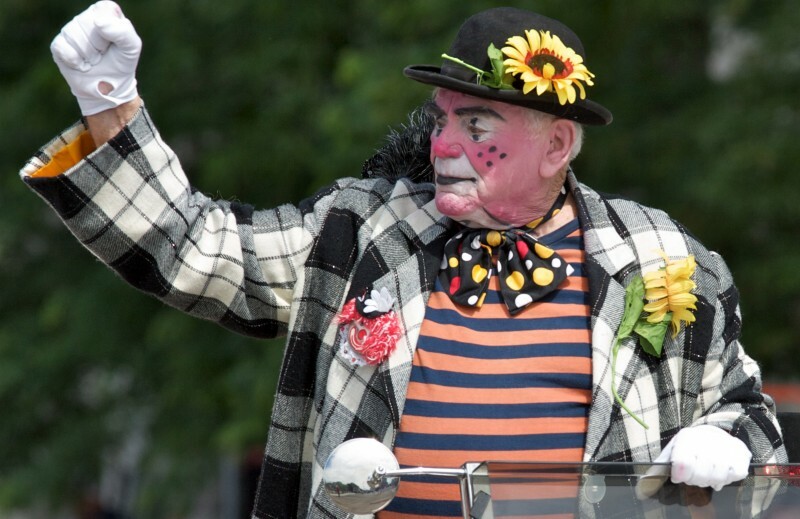 He replied, “ I’ve never been a clown.” The very next day he got a call from the City of Milwaukee inviting the actor to don a rubber nose, big shoes and clown make-up to take part in the Milwaukee’s annual Great Circus Parade. 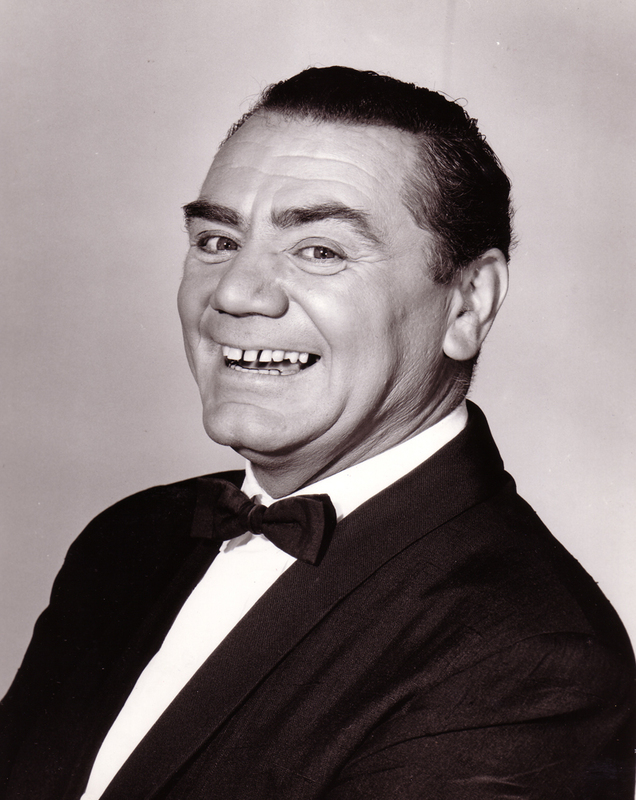 For the next 30 years, from 1972 to 2002, Borgnine would serve as parade’s Grand Clown. 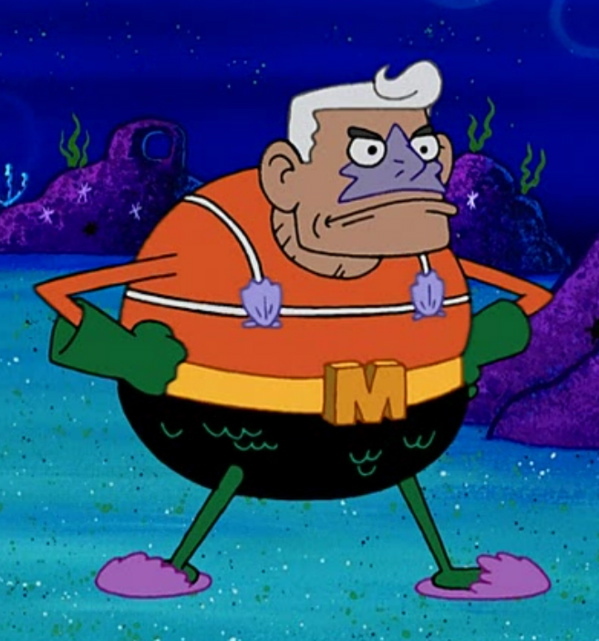 Although primarily known by old timers, the new millennium ushered in an entirely new generation of fans for Borgnine thanks to his role as the voice of the elderly superhero Mermaid Man in the popular children’s cartoon Spongebob Squarepants. In a nod to Ernest himself, in the Spongebob episode “Mermaid Man Begins” it’s revealed that Mermaid Man’s real name is Ernie. This entry was posted in Birthday Legends, Legends Tribute, Posts by Minoo Allen and tagged classic movie actor, Classic Movies, ernest borgnine, fred zinnemann, marty, Mermaid man, spongebob squarepants. Bookmark the permalink. The Navy references left me mentally muttering “Thrre’s something else…” Finally I bit the bullet and checked his filmography and the shoe (or anchor) dropped. McHale’s Navy was my little brother’s favorite TV show as a child and I received lifetime “best sister” status by letting him stay up after curfew to watch it when I babysat him. That wonderfully mobile face was a natural for comedy. I had the pleasure of meeting him at The Western Heritage Awards when he was late in life. The man still had a strong grip for a handshake and was kind as could be. Although I never had the pleasure of meeting Mr. Borgnine – I did have the pleasure of directing his wife Tova on camera for a perfume line she was selling. When I talked about how much I love “Marty” and Ernie’s other work, she lit up and bragged on her husband so much – I blushed. It was clear as day they loved each other with such intensity. When she asked about my wife and family, I shared how (at the time) we had 4 kids. She gave me a small bottle of perfume to give my wife. A year later I saw her and said jokingly, “I have a complaint.” She looked and me and mock frowned. “When I last saw you, I had 4 kids. You give me a bottle of perfume for my wife. Now I have 5.” She laughed and laughed and said, “I’m using your story.” That seemed so Borgnine to me. Ernest was a Wonderful Actor. He went from playing bad guy Fatso in From Here to Eternity to a more lovable guy like him in Marty. 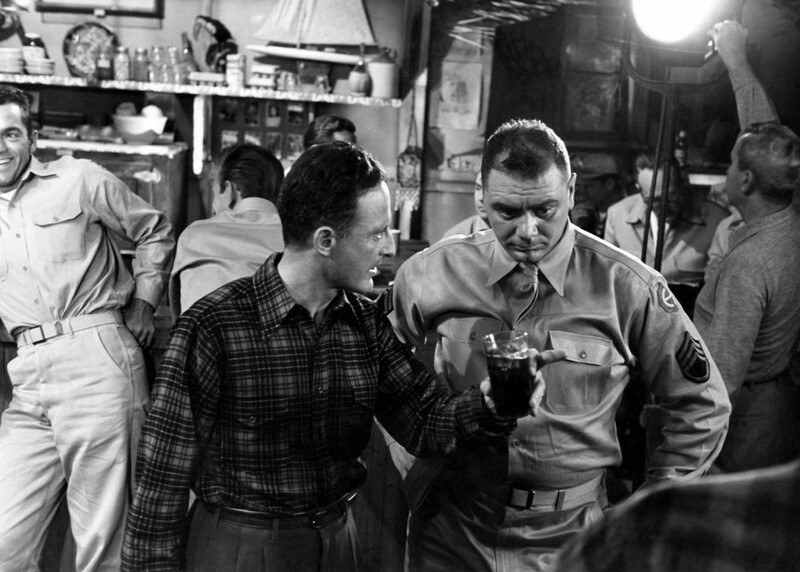 Also as Quinton McHale in McHale’s Navy. I never Missed it. But my Favorite Role of Ernest’s was in Season 1 of Little House on the Prairie. He played Jonathon the Angel who was sent to Guide Laura after she ran away thinking she killed her baby brother. Until this day the episode makes me cry. poor Ernest was unlucky in Love until he met his Beautiful Angel Tova. I had the pleasure of speaking with this great man once when I worked for a large plumbing company. He called in for service -his voice was unmistakeable and I instantly knew who he was. He gave me his name – and because of my job, I couldn’t gush the way I wanted to!! He was so kind, and so polite – very atypical for the kinds of calls I took as I worked in the complaint department. I had NO idea he was the City of Milwaukee’s parade’s Grand Clown. I live but 2 hours from there!!!!!! I always loved Ernest Borgnine. When I watch him films, such as Marty, The Wild Bunch, Bad Day at Black Rock, etc., he seemed real butch on the outside, but you could tell that he was a real teddy bear underneath.